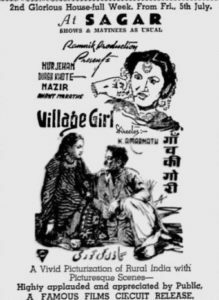 “aji dil ho kaaboo mein to dildaar ki aisi taisi ” from “Gaon ki Gori”, music by Shyam Sundar, to be his first Hindi Film song. 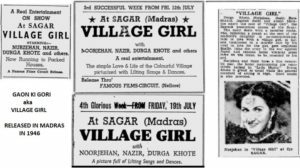 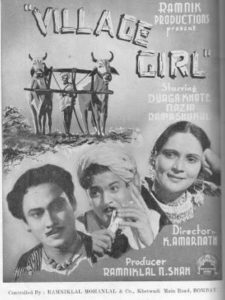 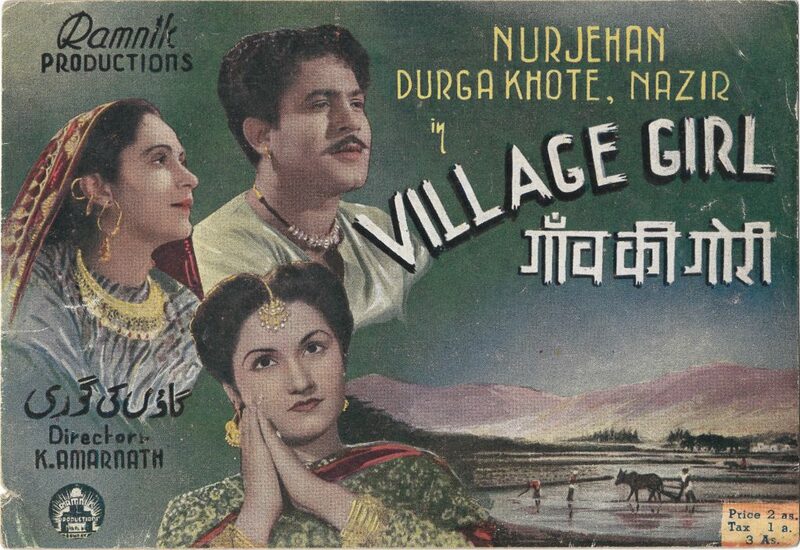 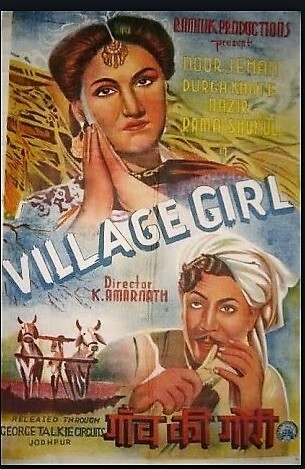 A noteworthy feature of this film is that it has the first Hindi song sung by the legendary Mohammad Rafi. 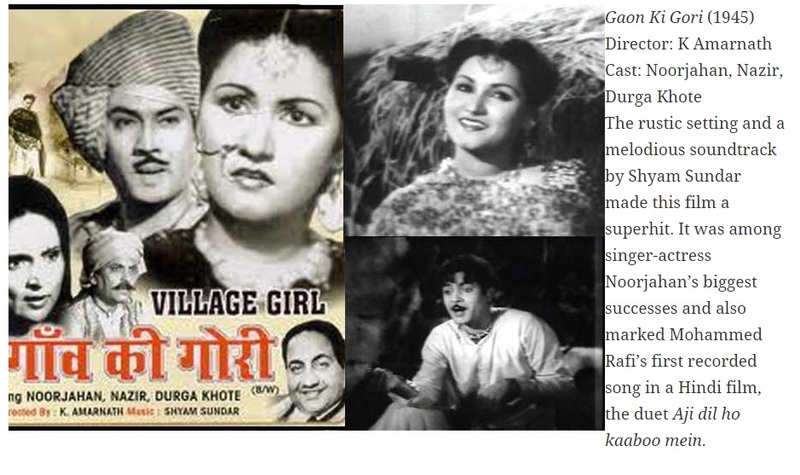 That song marked the launch of a long and distinguished career as a playback singer for the great Rafi.